Inman announced its new team of ambassadors for Inman Connect San Francisco, led by Ambassador Directors Laurie Weston Davis and Joe Schutt. The new group of ambassadors represent the convivial Inman community that makes Connect a one-of-a-kind event in real estate. “Inman is its readers and the Ambassadors are our volunteer leaders who connect our community with one another through their selfless contribution to Connect,” said publisher Brad Inman. Davis and Schutt were selected to lead the Inman Ambassadors in recognition of their standout participation and commitment to the vision of the ambassador program. Davis is the co-owner and CEO at Better Homes and Gardens Real Estate Lifestyle Property Partners, in Pinehurst, North Carolina. She also serves as social media consultant for Revaluate and is the owner of The Geeky Girls. Schutt began his real estate career with a niche downtown Boston brokerage that evolved into Boston’s largest Sotheby’s International Realty franchise. Schutt later created his own bespoke brand and opened Unit Realty Group in 2012. “It’s a huge opportunity to meet and work with influencers in the real estate industry doing something that I’m passionate about,” said Davis. “I have met so many wonderful people through the Ambassador program. It has allowed me to connect thousands of people who often build lasting personal and professional relationships,” said Boston broker Schutt. Inman Connect San Francisco happens August 2 through 5, 2016, at the Hilton Union Square. 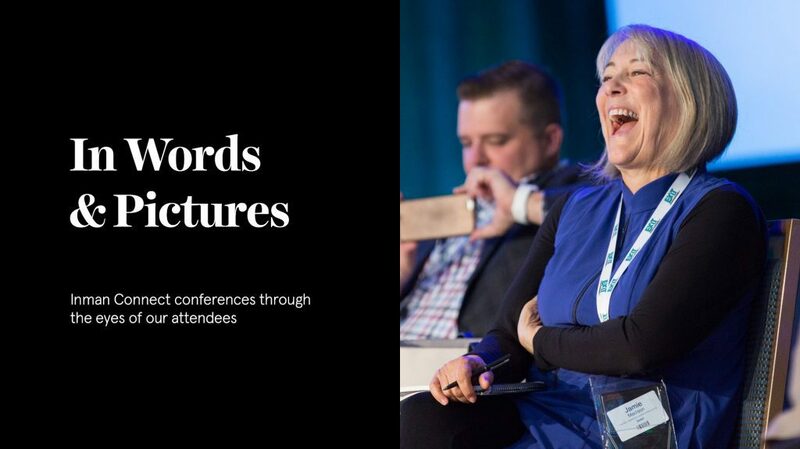 This year’s event will be the largest in history and feature more than 200 standout speakers, incredible networking events and will deliver business breakthroughs and new relationships to last a lifetime. Don’t miss out — register today! Brandon Martens, Realtor at Hegg, Realtors Inc.
About Inman | Real estate industry professionals from around the world turn to Inman first for accurate, innovative and timely information about the business. Known for its award-winning journalism, cutting-edge technology coverage, in-depth educational opportunities, and forward-thinking events, Inman is the industry’s leading source of real estate information.